Take Action that Matters with ACMP! Over the past several months, we have been encouraging you, the ACMP community, to take action by participating in one of our offerings. This month, we’d like to dive a little deeper into the meaning of the actions we are asking you to take – actions that matter, because they help further our vision of leading the way change works. Whether it be by registering for an upcoming conference, becoming certified, enrolling in a course, or attending a webinar, the meaning is all the same – it’s to advance the discipline of change management, validate the profession and grow the community. We hope you will continue to find meaning in being a part of this network and take advantage of all we have to offer! On November 7th, we will be holding an Annual Member Meeting to share exciting updates with you. 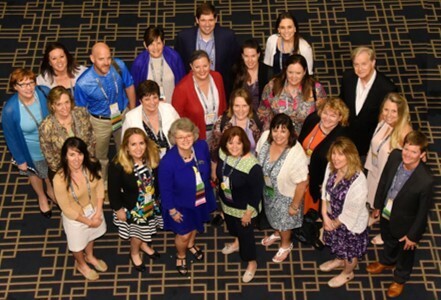 Please join your fellow ACMP members as the Board of Directors takes the opportunity to reflect and celebrate ACMP’s progress with you. To join the meeting, please RSVP for one of the two times offered on November 7th at 7 am and 5 pm Eastern Standard Time. If you are unable to attend, don’t worry, we’ll post the recording on the ACMP Resource Library. It’s not too late to attend ACMP’s year-end Change Management – Regional Europe 2017 conference! Registration is still open online and will be available on site. Explore Amsterdam and its nearby cities after #ACMPEurope2017! In addition, after you sign up for conference, be sure to confirm your stay at Hilton Amsterdam where all the action will be taking place during the conference. We will see you in Amsterdam 16-17 November! The Change Management Professional™ (CCMP™) program was developed for change practitioners, by change practitioners to further advance the profession. It matters because it shows the community that we have the education, training, and professional experience required to be a change manager. ACMP is close to certifying the First 500 graduates and we hope to reach that number by the end of the year. The current exam window is open until December 31st – to apply, complete your CCMP application and then schedule to take the exam from nearly anywhere in the world at any time at one of these exam centers. To prepare for the exam, download The Standard for Change Management®, study these flash cards and review the ACMP Code of Ethics and Professional Conduct. You can also participate in one of our upcoming coaching calls to hear more about the process of becoming certified. Another key element that was identified as a need for the advancement of the profession, was a registry of courses aligned to The Standard for Change Management® and adult education best practices. ACMP developed the Qualified Education Provider™ Program to be just that - a registry of courses around the globe that fulfill the CCMP training requirement and give professionals a reputable source of courses to take. Check out our growing registry of courses here! Also, if you have recently taken a course that is not on this list, please let us know as we are constantly trying to expand our educational offerings. Lead Change in Las Vegas! In less than six months, we will gather for Change Management 2018 in Las Vegas, and it will be an annual conference not to miss! The sooner you register for #ACMP2018, the more you will save, so take advantage of the early pricing before it goes up at the end of the year. Don’t let your professional development budget be left unused, register today. We look forward to seeing you at one of the industry’s most premier events! As part of our commitment to providing opportunities for ongoing learning, we have expanded our webinar offering for members. Check out our website for the full listing of upcoming webinars; if you are unable to attend on the scheduled date, members can also view recordings of webinars in the updated Resource Library on the ACMP website. For CCMP grads, each webinar counts for 1 PDU in the “Education” category. Not a member? Join today for access to webinars, presentations and white papers in our Resource Library! "Change Leadership Coaching That Gets Results: Using Powerful Questions to Create Effective Sponsorship"
"The 'Millennial Problem' is Really an Adaption Problem"
As an ACMP Conference sponsor, your organization can expand its awareness to a targeted audience of change management experts, leaders and practitioners. From various sponsorship levels, exhibit booth options and more, sponsorship packages can be customized to suit your brand’s needs. By supporting Change Management – Regional Europe 2017 or Change Management 2018, your organization can showcase its brand to the change community and help support the growth of the overall discipline. For additional questions or to become a sponsor today, please contact: Laurie Powell, Vice President of Business Development.